The story of the sea has been a central theme in the drama of human history. And so it shouldn’t be surprising that the development of science and technology is interwoven with the story of the sea. During a recent five-week voyage from Cape Town, South Africa, to the Caribbean, I had ample to time reflect on the extent to which IEEE technologies have become embedded in maritime transport, even in relatively simple sail boats. With strong winds and all sails out, our vessel sliced through the waves as sailing ships have done for millennia. But beneath the deck lay a complex array of electrical and electronic systems: sonar; radar; GPS; electronic charts; real-time access to digital weather data; a computer system to link these systems together; an Emergency Position-Indicating Radio Beacon (EPIRB); a single-sideband radio; a phone using low-orbital satellites as communication systems; a flux-gate compass; an autopilot; running lights for night sailing; various electrical and electronic creature comforts; and, of course, batteries and an efficient, compact generator system to feed electrons to all this equipment. As impressive as this array of equipment may appear, it pales in comparison to the scale and complexity of the electrical and electronic technologies found on modern super cargo ships and naval vessels. In today’s society, maritime commerce is out of sight and hence out of mind. But e-commerce and the global economy are held together by the world’s maritime shipping lanes. Despite the ubiquity of the electron in maritime systems, the role of the sea is rarely mentioned in the conventional story of electricity. Rather than being an afterthought in the application of electricity, the sea has, in some instances, been the perfect venue for first adopters. And in other instances the specific needs of maritime transport have served as drivers for the overall advance of technology. Consider the story of electric lighting. In 1808, Humphrey Davy demonstrated the first arc light to the Royal Society. Of profound ramifications for humanity, the discovery of the arc-light had been an unintended consequence of Davy’s electrochemical experiments with batteries. For the first time in human history, fire was no longer the only source of artificial lighting. But because of the inherent inadequacies of batteries, the practical use of arc-lighting would not occur for nearly six decades until the appearance of suitable electric generators. The story of lighting, as usually told, then goes on to relate how the arc-light found its earliest use in theatres and in the illumination of city streets. Rarely, however, does this narrative explain that before dazzling urban dwellers, arc lighting was pointed toward the sea. With the economic growth of the Industrial Revolution accelerating during the 19th century, the number of people and the volume of goods that were moved around the world by ships expanded at a phenomenal pace. As maritime commerce grew so did the disasters at sea. The thousands of shipwrecks represented many lives lost and great economic losses. The greatest danger for ships did not reside in the high seas. Being close to a shore when night, fog, or a storm could easily conceal the existence of dangerous rocks, shoals, and reefs was, and still is, the sailor’s greatest fear. Lighthouses offered mariners rays of salvation. The regulator used in the La Have, Nova Scotia, lighthouse maintained the optimal distance between the tips of the carbon rods in the arc-light. Though arc-lighting provided a more powerful beam, its widespread diffusion into lighthouse design did not follow. By the start of the 20th century, there were thousands of lighthouses around the world but only about 30 used an electric light. France had twelve, Britain six, and the U.S. two. All the rest still used oil or gas lighting. According to Michael Schiffer, an archaeologist who has studied the history of the electric lighthouses, the failure of the more advanced technology is an excellent illustration of the multidimensional considerations needed to explain technological diffusion, or lack thereof. 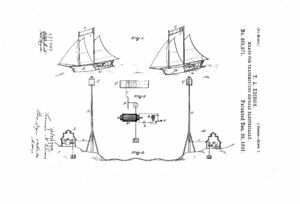 The imperative of marine safety may have provoked the earliest adoption of arc-lighting, but it could not sustain widespread adoption. The story of wireless telegraphy, on the other hand, is quite a different story. At the start of the 20th century, ship-to-ship and ship-to-shore communications were very limited. Written messages could be physically transported, but that was extremely slow. The semaphore offered much faster communications but the sender and receiver had to be within visual range. The revolution of electrical telegraphy, which had started in the first half of the 19th century, had transformed terrestrial communications. Marine communications, however, still remained primitive. Submarine telegraph cables spanning the ocean’s of the world could link far flung lands, but no electrical technology existed that allowed ships to communicate. The mobility of ships does not lend itself to wires. 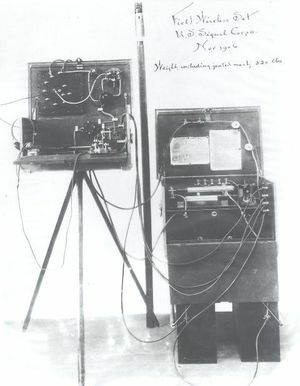 Edison proposed wireless telegraphy to meet the special needs of seafaring. In an 1885 patent application, Edison underscored the importance to safety if ships could communicate through dense fog by means of wireless telegraphy. Ships not only could crash on rocks hidden by dense fog, they could easily collide into each other as they came closer to shore. Ship-to-ship communication through the thick fog would have been heaven sent. Based on electrostatic induction, Edison’s patent did not offer a realistic solution to maritime communication. His patent, nevertheless, did lay claim to the idea of an aerial antenna whose rights Marconi felt compelled to buy in 1903. The sea not only provided an early push for wireless innovation, but it also provided the Marconi Company with a sizable and vital revenue stream. By 1905, the world’s naval powers had 110 ships equipped with wireless telegraphy, many of which were equipped with Marconi equipment. In 1904, Marconi entered into an agreement with the Cunard Steamship Line to create the first civilian ship-to-shore communication system. 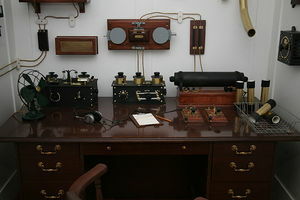 The Titanic sailed with a Marconi wireless system. 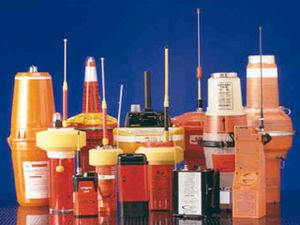 In the aftermath of this great tragedy regulations for the use of wireless at sea were proposed for the first time. In Britain it was recommended that all ships be equipped with wireless equipment. But equally important that they be staffed by trained operators on a 24 hour basis. The prospect of the world’s ships carrying wireless equipment was of enormous commercial potential for Marconi. This article has given a sketchy overview of two examples that illustrate the historic relationship between IEEE technologies and the sea. There are several more that come to my mind. If any of you have other examples please share them with me and the IEEE History Center. 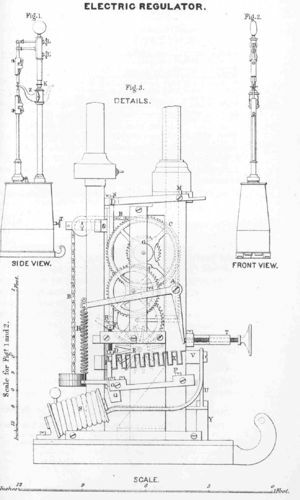 Schiffer, Michael Brian, “The Electric Lighthouse in the Nineteenth Century”, Technology & Culture, Vol. 46 (April 2005), pp. 275-305.